As a real estate agent, you are entrusted the job of presenting your products—or property, in this case—to the consumer market. 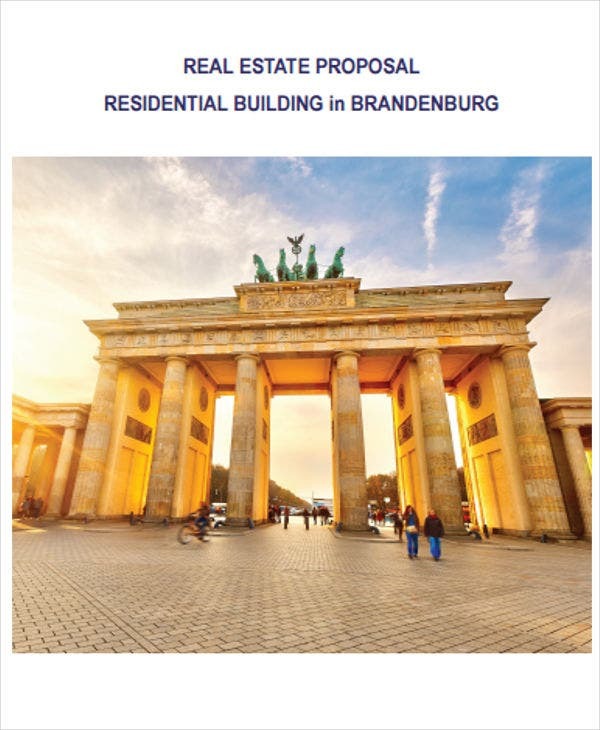 Providing a real estate business proposal for your consumers will help you in achieving your professional goals. 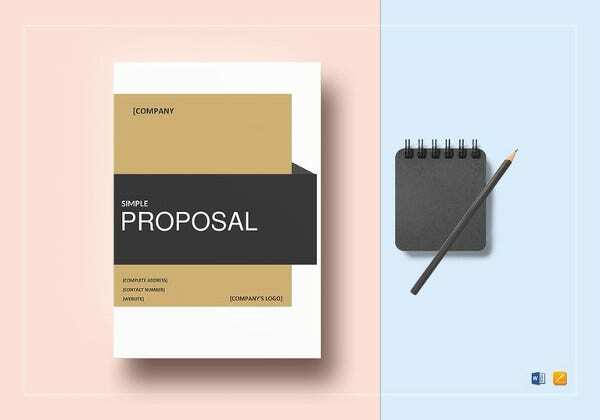 Similar to how a loan proposal and a grant proposal is created, a real estate business proposal must not only entitle benefits to the business entity but should also fulfill the desired specifications of the indicated by the customer being proposed to. 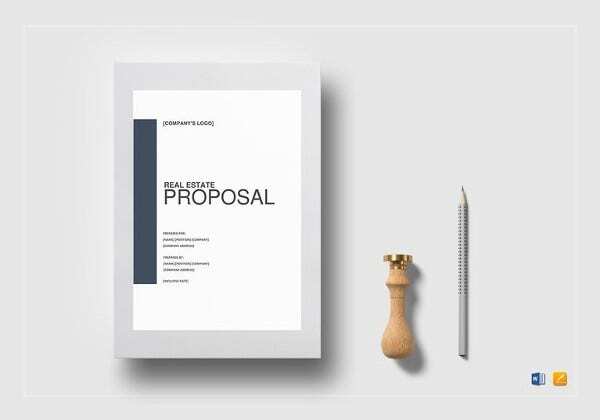 If you are new real estate agent, the following real estate business proposal templates can be your reference in knowing how to make a real estate business proposal for your clients. Start with an Executive Summary. Introduce the objectives and the forecasts along with an overview of your business proposal. 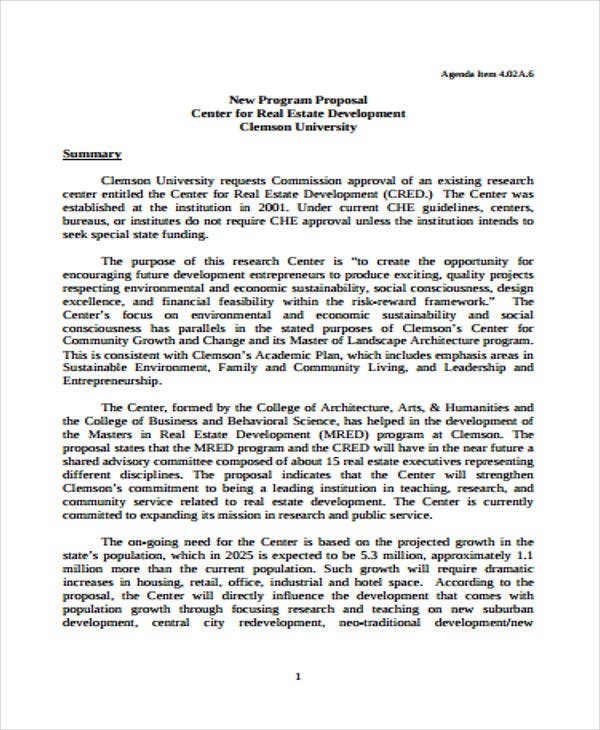 The marketing proposal templates have this section at the start of the document. Introduce your real estate company. Inform your clients of your credibility by highlighting your company’s strengths. 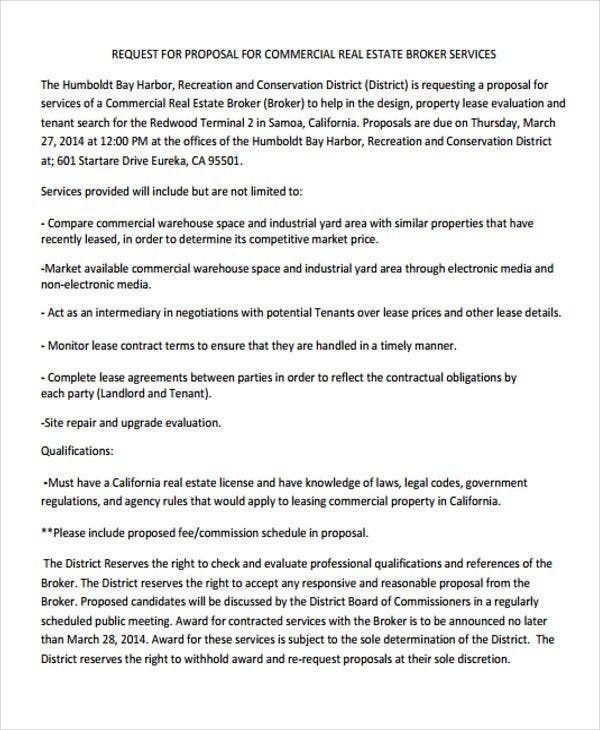 State the purpose of the proposal. 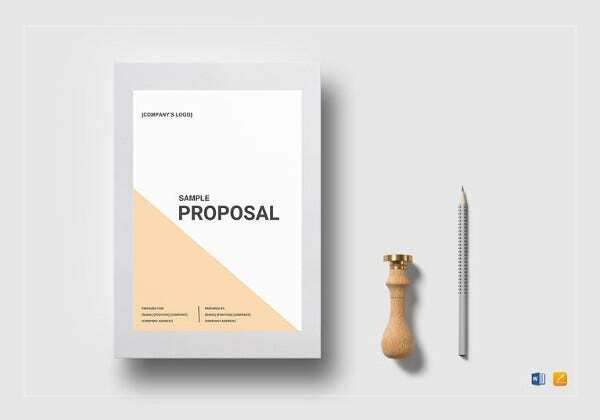 Identify for what purpose the proposal is made. Specify the needs stressed out by your client about real estates. Lay out your real estate options. 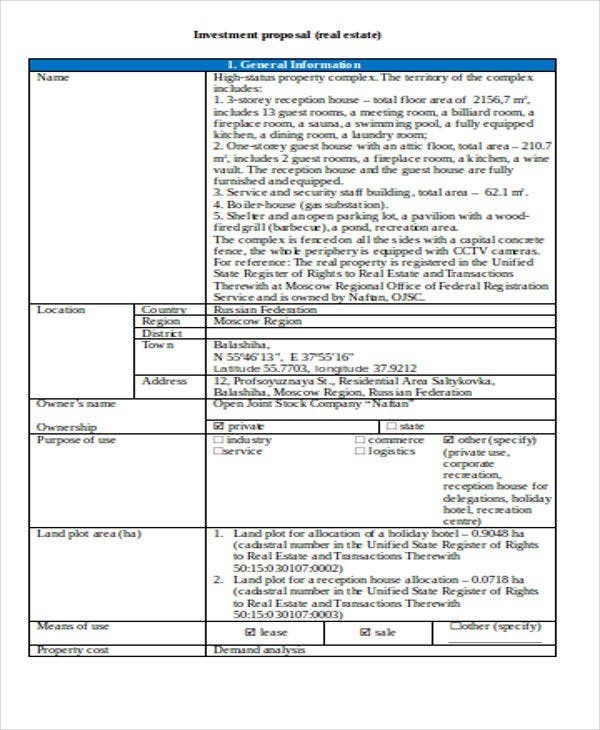 As illustrated in the lease proposal templates, exhibit the real estate options you have come up after considering the needs of your client and the market. Distinguish each option’s cost of investment. Along with presenting the features of each option, you are to show how much the client must invest in order for them to decide which option fits their budget. 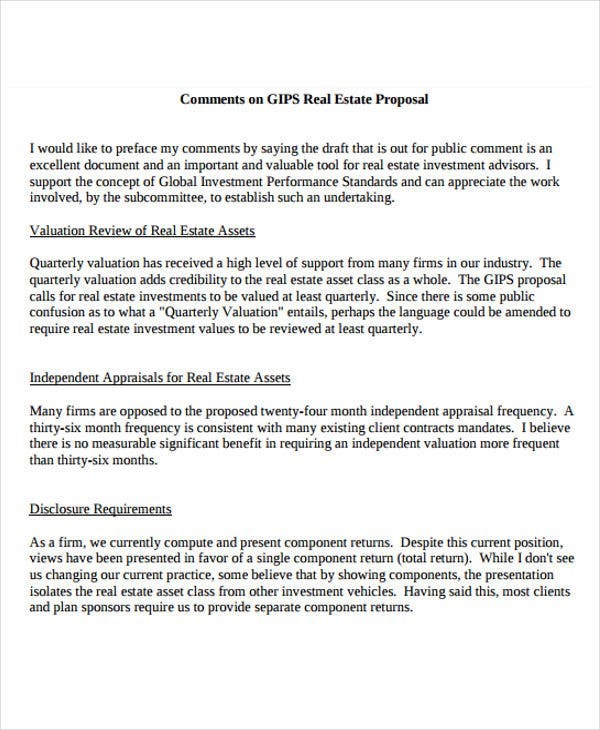 Close the proposal to a recommendation. 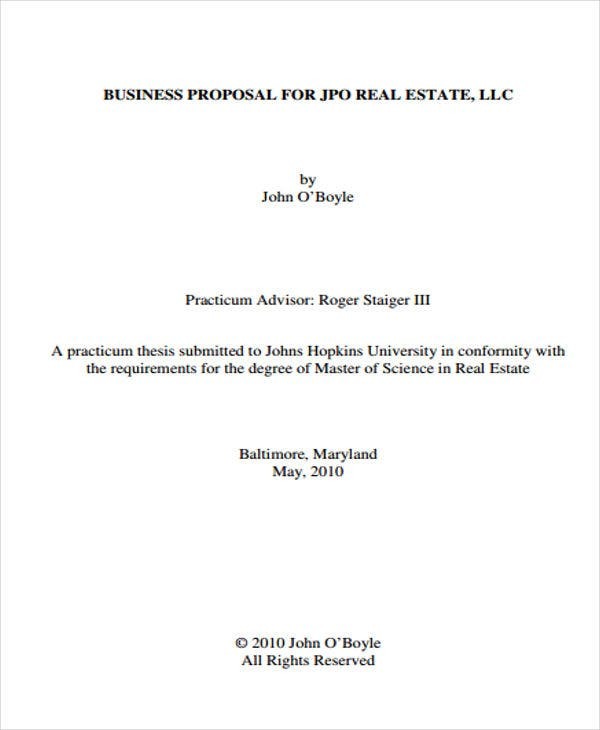 Present a recommendation from all the research and analysis you have in consideration of the client’s interests. 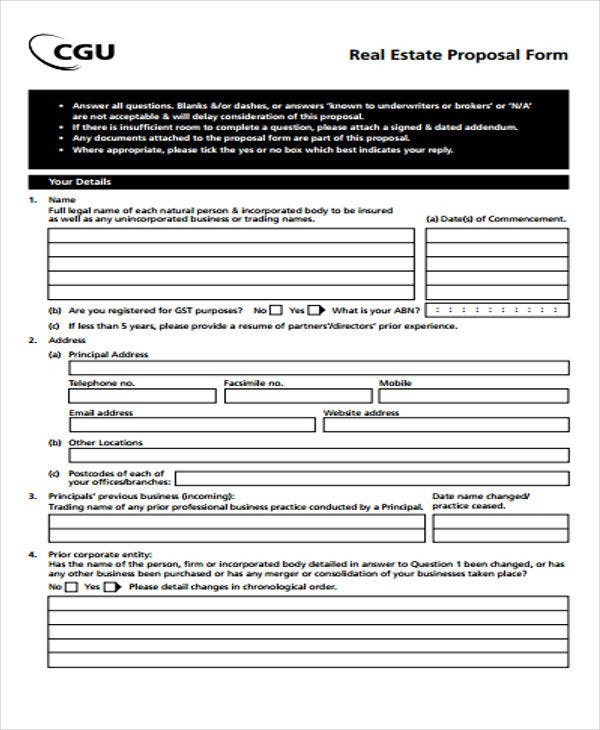 Gather information about your client. It is important to know beforehand the interests and needs of your client in order to address those needs. This is similarly done when it comes to investment proposals provided in the sample investment proposal templates on this website. Build trust. 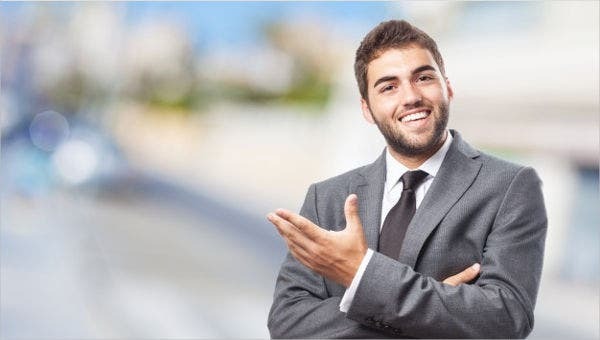 Convince your client of your credibility by highlighting your experience, credentials, achievements, and strengths. Be sure that you mention only facts, and do not exaggerate. 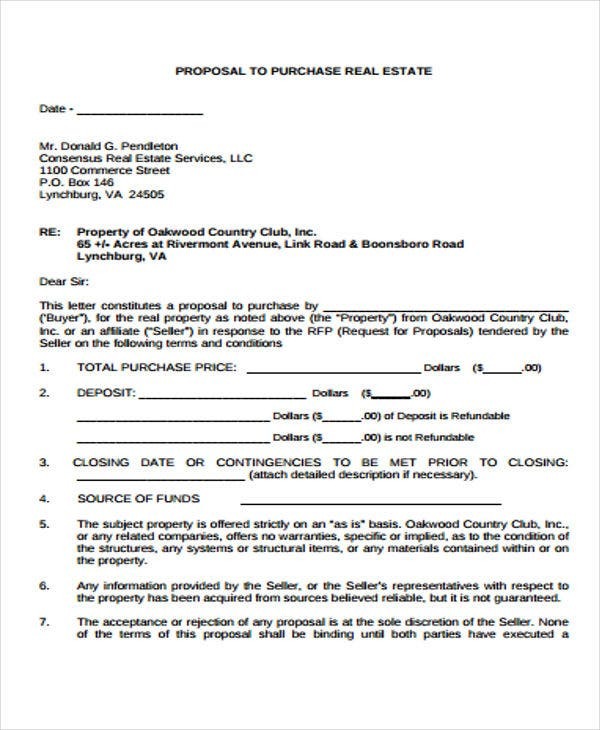 Format your real estate business proposal. 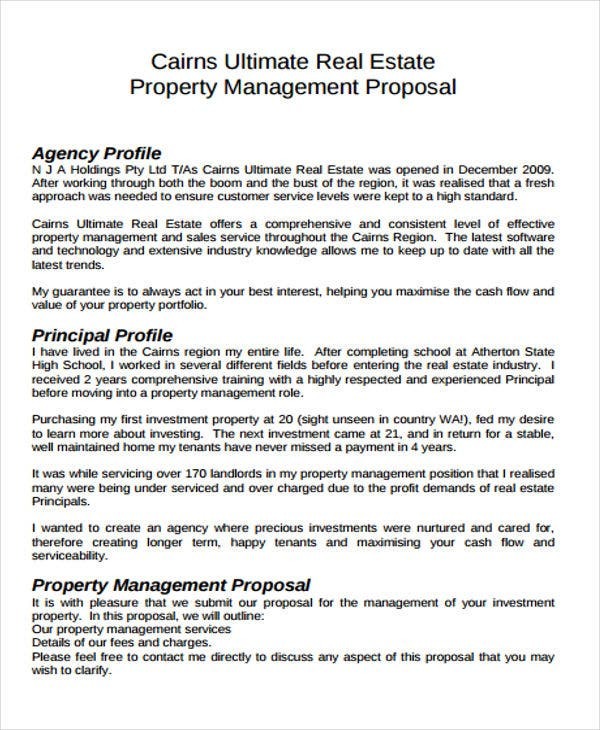 Take time to make your real estate business proposal look good. Choose fonts that are readable and neat. Correct any grammatical and/or typographical errors. 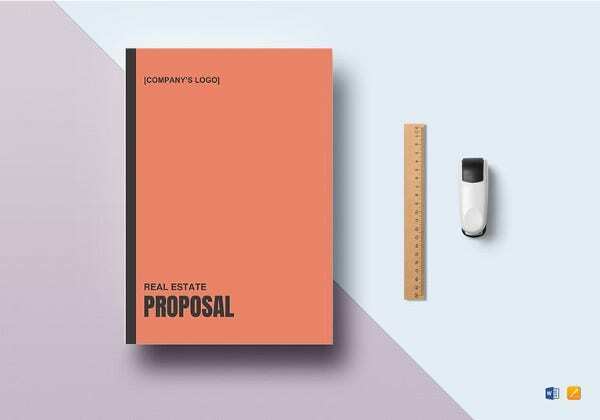 Creating a real estate business proposal to your clients will ensure them that you give priority to address your proposal to their interests which will help your real estate entity grow as a credible real estate company. 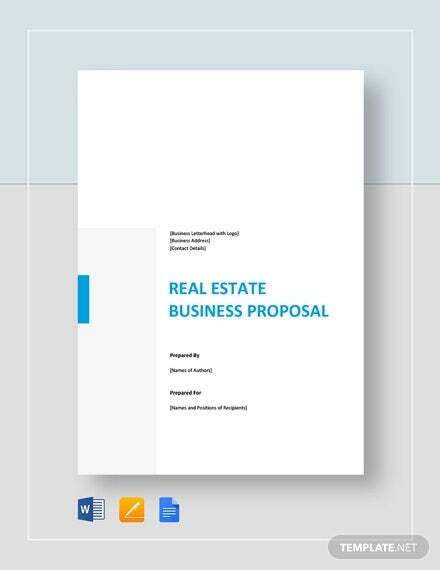 Browse through these real estate business proposal templates for reference.